So you can imagine how my heart nearly stopped when I spotted this image. 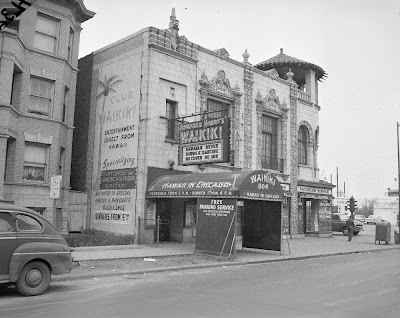 I have another picture somewhere of when it housed the Bulldog and Whistle earlier on; I knew Honolulu Harry's was on this stretch, but I had never made the connection before. And I've never seen the building photographed from this angle. Seriously, finding this image totally made my day. Now I bet that was the "W" I could see in the photo from last week!